Great office conversation piece. 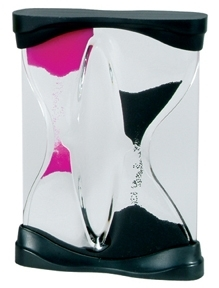 Unusual sand timer - kind of reminds us of the hypnotic flow of lava lamps. One side goes up while the other side flows down.